Once everyone had their fill of dessert, people started to say their goodbyes and make their way out to whatever plans they had for the rest of the day (there was a pretty big college football game going on in town that night, so some folks had tailgates to get to). I was able to see most of our guests off but I did miss a few because, as careful as tried toÂ be, I still ended up having to excuse myself to be sick for a bit. Based on the time-delay these reactions tend to have, it must have been something in the first course that set me off, but there’s nothing to be done about it now! I did feel bad that it was Roadie’s parents I missed saying goodbye to, but we caught up with them at dinner that night, so it wasn’t the end of the world. 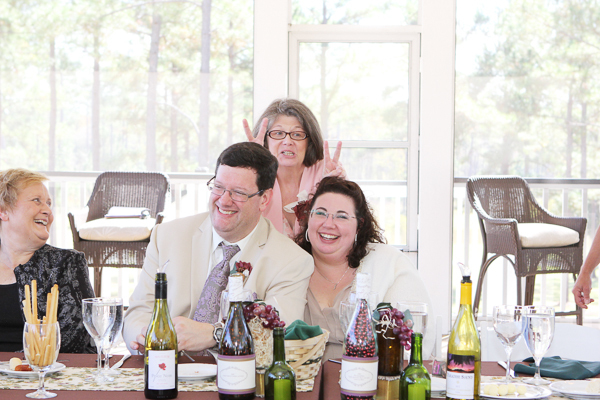 Mama Leadfoot showing her silly side. The staff packed up all our reception details and delivered them back to our room. Even though it wasn’t 10 minutes after we’d okayed that plan that they knocked on the door, Roadie and I had already forgotten they were coming and had already started to change into comfy clothes for the afternoon–he was only half-dressed and ended up ducking into the closet while they unloaded the decorations! 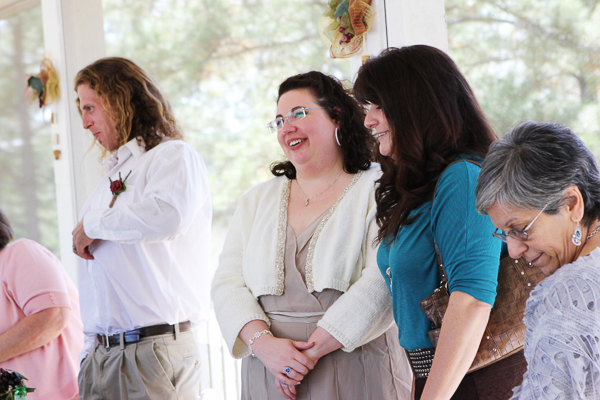 Now, the thing about having an early-afternoon end to your reception is deciding what to do with the rest of the day? We went for the lounge option, sacking out after a very busy morning. We opened the many cards from family and friends and I made sure to start the list of who enclosed what for proper thank-you writing. We also each made up for the scarce bites of cupcake earlier by snagging some of the leftovers that had been delivered back to the room. 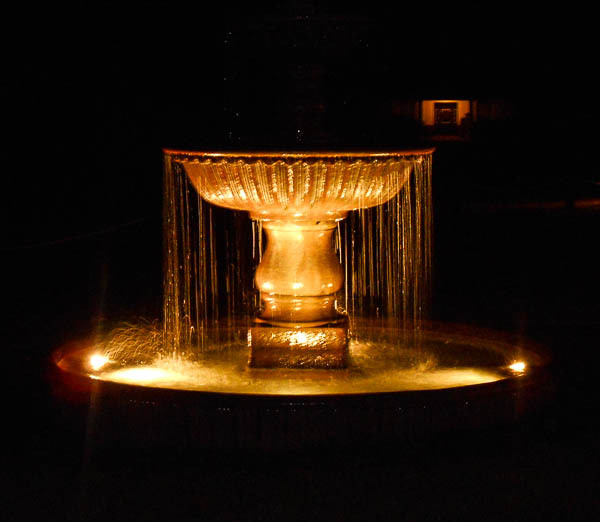 (personal picture) The fountain was so beautiful at night–it would make a great backdrop for an evening event, too! 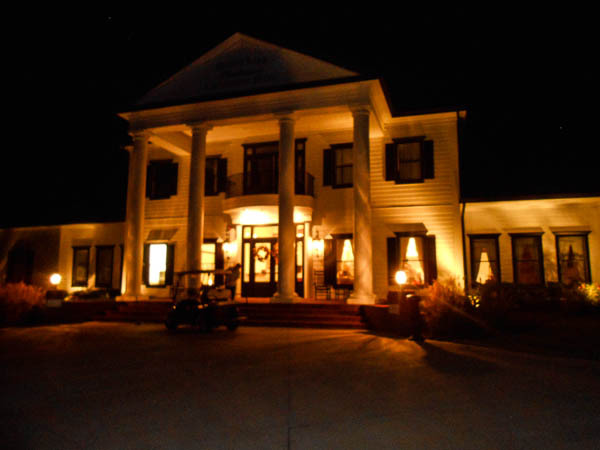 As I mentioned above, we met up with Roadie’s family for dinner that evening in the resort dining room (the food, by the way, was much better at dinner than it had been at the reception) as well as Friend-ficiant L and her husband who were also staying on property. Sharing a casual meal with his family was a nice “bookend” to the event, having starting the long weekend with a dinner with mine. (personal picture) So long, Honey Lake! We had a lot of things go wonky on our wedding day, but the important things all went the way they needed to: just right. 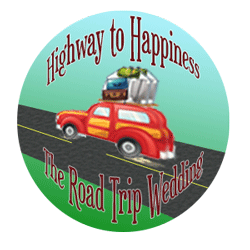 I’m just as surprised as anyone that I kept my cool through all of it–it was a little bit of not wanting to make our guests uncomfortable by blowing up and a lot of realizing that it wasn’t worth the rise in blood pressure a blow-up would have triggered. Keeping calm meant that, bumps and all, we have more fond memories of the day than negative ones. All I can advise for any other bride is to have back-ups to the important things and then just agree with yourself to go with the flow. Even though this is the end of the wedding, I’ve still got a couple of posts before I officially hit the road!